The five steps allude to the five orders of architecture and the five human senses. The five orders of architecture are Tuscan, Doric, Ionic, Corinthian, and Composite. For any brother reading, it’s important to take a moment to look anew at your monitor, if supplied with one, to reacquaint the reference as it relates specifically to Masonry. From an exoteric point of view, we must look to the point of origin to the Orders of Architecture, which turns our attention to the grand father of modern architecture – Vitruvius. Vitruvius (born c. 80–70 BC, died after c. 15 BC) is described on Wikipedia as having been a Roman writer, architect and engineer (possibly praefectus fabrum , the man in charge, during military service or praefect architectus armamentarius, the man in charge of architecture, of the apparitor status group), active in the 1st century BC. By his own description Vitruvius served as a Ballista (artilleryman), the third class of arms in the military offices. He likely served as chief of the ballista (senior officer of artillery) in charge of doctor’s ballistarum (artillery experts) and libratores who actually operated the machines. 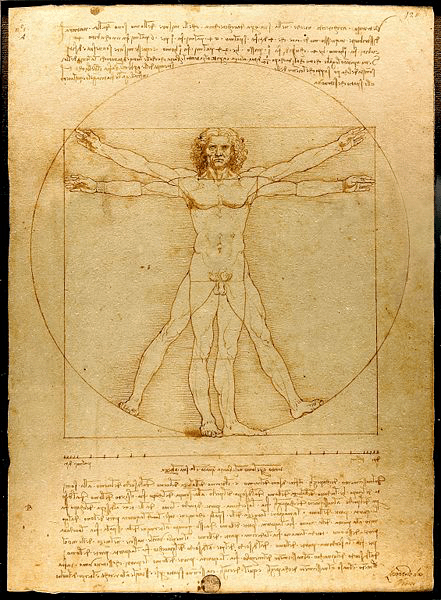 The Vitruvian Man, as illustrated by Da Vinci, was based on Vitrivius’ proportions from his writings. Those writings can be found in his collected works, commonly called De Architectura Libri Decem or Vitruvius, the ten books on architecture . In the work, Vitruvius describes an assortment of things from town planning to aqueducts. The rediscovery of his work in the Renaissance had a profound influence on architects of the age which started the rise of the Neo-Classical style. Period architects, such as Niccoli, Brunelleschi and Leon Battista Alberti, found in “De Architectura” reason for raising their branch of knowledge to a scientific discipline as well as emphasizing the skills of the artisan. 1616 and the Banqueting house at Whitehall in 1619, and the French hydraulic engineer Salomon de Caus who designed the gardens at Somerset House and the Hortus Palatinus in Heidelberg Germany (known for its then wonders of “a statue that resounded when struck by the rays of the sun, a water-organ, and singing fountains”), and were among the first to rethink and implement the disciplines of Vitruvius which were considered a necessary element of architecture, essentially art and science based upon number and proportion, which was reinvigorating to architecture of the period. The 16th century architect Andrea Palladio who designed a number of villas, palaces, and churches in and around Venice, considered Vitrivius his master and guide, and made drawings based on Vitruvius’ work before evolving his own architectural precepts. Inigo Jones, for those who are unfamiliar, is also the author of a Manuscript circa 1607), on the Origin of Masonry, amongst other things. Lomas, in Freemasonry and the Birth of Modern Science , dates the time of Jones’ Freemasonry as 1607, while he was a surveyor to the crown under James VI. The story of the Corinthian column goes on to tell of its inspiration which was from the growth of an Acanthus through the basket of a young Corinth maiden’s possessions atop her tomb. The Athenian artist Callimachus passed it and took delight at its “novel style” and built columns after its form. Once he determined the dimensions and proportions it was established to the rule for the Corinthian order, thus setting, literally, into stone the symmetry of beauty. This certainly does not predate the idea of Solomon’s temple orientation, but its questionable if perhaps Vitrivius was influenced in any way by this Judaic Old Testament writing, or operating on an older principal of Temple building. In its simplest of thought, the older idea of knowledge, better thought of as wisdom, came from the East in the rising sun as it has symbolically represented the idea of a daily new beginning. The word used for one who undertakes the degrees in Masonry, an initiate, comes from the Latin initiare which means “to begin anew”. It would, no doubt, mesh with Renaissance architects as designers would see the parallels between the Old Testament Temple and the Classical temple styling to follow that same pattern. From an esoteric stand point, we can start to infer much of how this translates to our work as a Freemason, building that unseen house . . . but this also has a practical application that would of been at the very forefront of our early forbearers thought, as with Inigo Jones, as they planned and built the neoclassical temples of the late Renaissance. Perhaps in some ways this is a vestige to our very being a Freemason, homage to the ancient practicing of our brothers in antiquity and a means to making being a Mason relevant to the teachings. But as the degree then turns from the idea of architecture so must we to the aspect of our human senses, five in total, and their specific link to our ability to hear, see, and feel. The five human senses are hearing, seeing, feeling, smelling, and tasting, the first three of which have ever been highly esteemed among Masons: hearing, to hear the word; seeing, to see the sign; feeling, to feel the grip, whereby one Mason may know another in the dark as well as in the light. The longer Roman proverb reads – “Audi, vide, tace, si tu vis vivere” which means to “Hear, see, be silent, if you wish to live (in peace)” which can give us a cryptic undertone or a view to see the disharmony of not being silent. This middle chamber, middle position, examination gives us much to reflect on especially as it relates to our physicality in the role of a Fellow of the Craft, but to get a broader feel we need to look more widely at the implications of the period understanding to what these five senses represented. The five wounds of Original Sin – First, death to the soul (heart). Second, darkness in the intellect, the right hand. Third, malice, an inclination to evil, the left hand. Fourth, sensuality – disordered desires, the left foot. And fifth, irritability and aggression, the right foot. 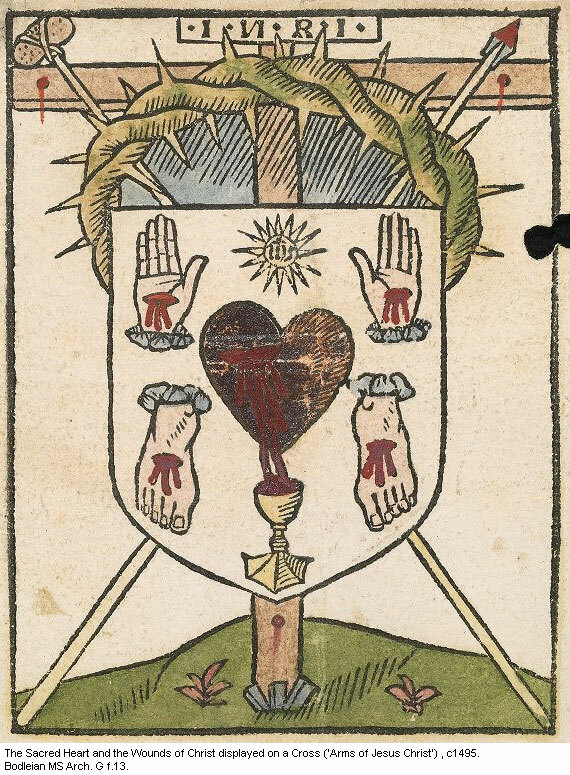 Ihesu is the middle ages usage of the name of Jesus, often written in Catholicism as simply IHS which has run through both Greek and Latin translations. In Greek, it looks like Iota-eta-sigma-omicron-upsilon-sigma which becomes IESOUS in English. The H comes from the variance of eta which is epsilon, and rendered as H giving us Agrippa’s meaning. Further in the work of Agrippa, he attributes the number Five beyond the senses touching on the planets, the animal kingdom, and five things as made by God: essence, the same (similarity), another (difference), sense, and motion. He called the number five the Pythagorean number of wedlock and justice (such we could interpret as Solomonic justice) because the number divides 10 in an even scale – Five represents the point of balance. Clearly, we can see that Agrippa found some greater importance in the 5 senses, broadening their occult interpretations. What we can take from this is that the 5 senses can be as limited as we choose to see them or as broad as we can start to interpret them to be as most interpretations of the number 5 have similar or like meaning. In either case, they have a wide variance by which to perceive them than simply in the five points of perfection. In these two discussions of physicality, Architecture and sense, we find two seemingly unrelated elements that in the second degree are intricately interwoven and presented by instruction as integral to the metaphorical building of Solomon’s temple, or more specifically, our own temple of inner Being. Like the great Greek and Roman pillars our senses are ever increasing importance giving our physicality a dimension to the degree. Yet, by digging deeper, through some of the more esoteric connections, we can get a sense of the power of this simple number that divides 10, a Solominc number, the number of perfection. So here, we have reached our second landing upon the staircase. We have surmounted our second series of steps in the middle chamber and come to a point of rest. Before us is the next ascent which will take us up a dizzying flight of seven steps. Though the number may seem small, its connections are many and varied and further round out the active role of our manhood which is our place of being as a Fellow of the Craft. Behind us rests the previous three and five steps – a monumental feat of climbing indeed, but before we can claim a victory over them, we must surmount the next seven and explore their potentiality in meaning. 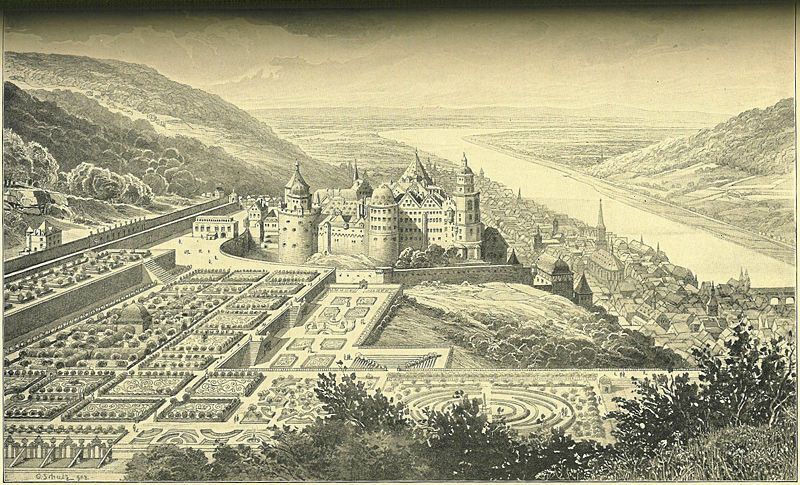 Vitrivius does give further instruction on temples when not able to orient them in an eastward facing saying “…if the nature of the site is such as to forbid this, then the principle of determining the quarter should be changed, so that the widest possible view of the city may be had from the sanctuaries of the gods. Furthermore, temples that are to be built beside rivers, as in Egypt on both sides of the Nile, ought, as it seems, to face the river banks. Similarly, houses of the gods on the sides of public roads should be arranged so that the passers-by can have a view of them and pay their devotions face to face.” So, what is the guide is not fixed in necessity. Death to the soul – Death of the body (heart) – Death occurs when the soul, the life principle of the body, is separated from the body, as the heart is the seat of the soul. Darkness in the intellect (and will) – the right hand, the hand of spirit – spiritual darkness, The will grasps at things by reaching out for them in desire. Sensuality of desire – the left foot, earth bound, it is the foot that sets off down the wrong path of pleasure and sin. Irritability and aggression – the right foot of strength where man’s irascible appetite is our aggressiveness and proclivity to anger.